Sing! Sing! Sing! – in the car, shower, church choir, whatever! Just sing! Draw, paint, write, build, create…do something with your feelings! Create a gratitude wall or board full of pictures and quotes of things you are grateful for. Put it in a place where you see it every day (like when you wake up). Reflect: How do I most commonly express gratitude? 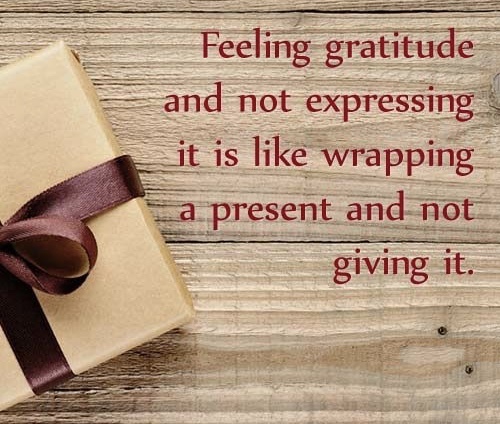 Are there times when my gratitude is silent and remains a gift not given? What practical steps could grow my expression of gratitude? Reflect & Practice: When have I, like the 9 lepers, been healed or blessed, but not turned back to Christ to bow and give thanks? Take some time this week to stop, turn to Christ, and give thanks for those things.